When multitasking came to the iPad, we were very happy users. Add that to the quick start features many app have now means we can jump from app to app really quickly. Working across several applications with just a tap or two. 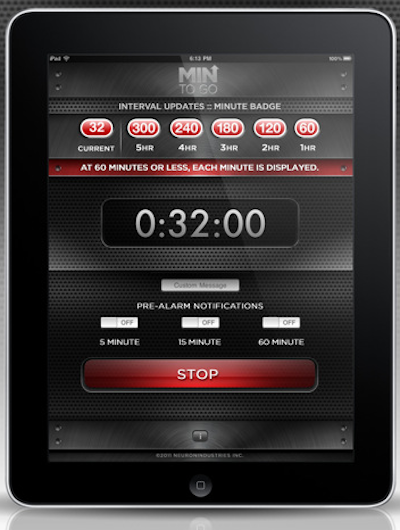 We mentioned a really cool timer earlier that we love to have up during meetings to stay on time. What we went looking for last week was a timer that we could somehow see the time tick by without actually having to open a timer app. Even though opening an app is quick, we were looking for a way to always have the time counting down viewable. The selection is pretty small, but one is pretty exciting, TIMER: Min to Go. 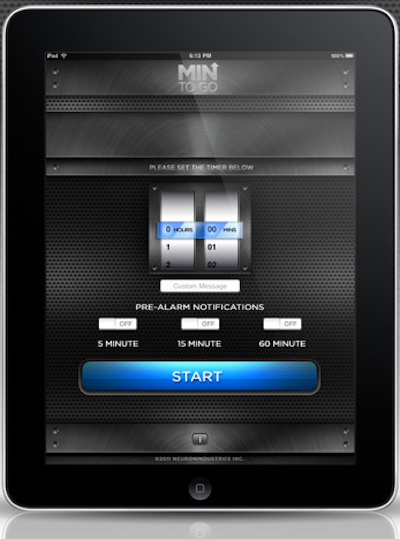 Being a universal app, this will run nicely in meetings on the iPad and on the run on your iPhone. The ‘always viewable’ count down timer is done through the counter on the app’s icon. The timer can be set for hours to count down big events or things like your partking meter. 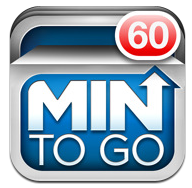 When it gets down to the last hour, TIMER: Min to Go has each minute ticking by on it’s icon. If your someplace you can have your sound turned on, TIMER: Min to Go also has audio warnings at 5 minutes, 15 minutes and one hour. Hmmm… with the audio warning, it will be handy for naps too.